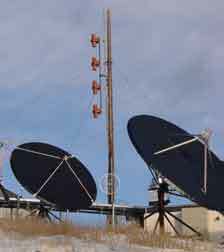 KBAZ-FM - Montanavision Media Inc.
Antenna Coordinates=46-48-06.7 N, 113-58-21.7 W (NAD27). Effective Radiated Power=100 kW Horizontal + 100 kW Vertical. 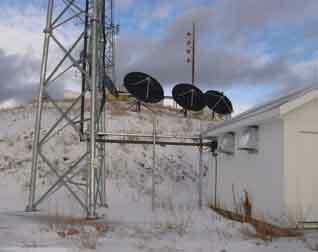 Mount Dean Stone Electronic Site, southeast of Missoula, is home to many stations. KBAZ tower is on the right. 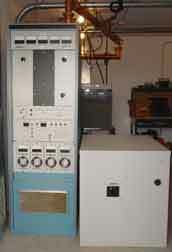 KBAZ uses a twelve-bay Shively antenna. Just below the main antenna is a backup antenna for KBAZ, and two STL antennas. Mounted to the west leg of the tower, below the STL dishes, is the antenna for a booster transmitter for KLTC. Dean Stone is a very crowded site, so all the towers are self-supporting. Luke at the front door of the transmitter building. Note the generator for emergency power. KBAZ uses an Energy-Onix transmitter. The separate single-phase power supply is on the right. 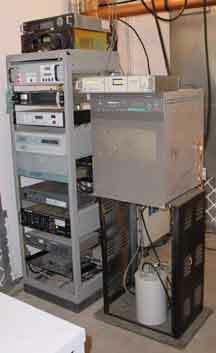 The equipment rack on the left houses support equipment for KBAZ, including STL receiver, remote control, audio processor, main exciter, backup exciter, and solid-state backup transmitter. 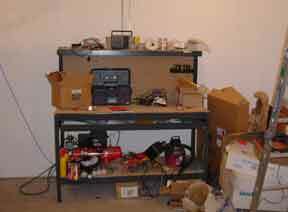 The transmitter building is large enough to accomodate future growth and and still leave room for a workbench. 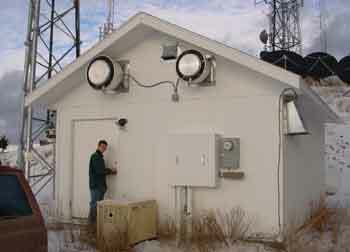 At the Dean Stone site, Clear Channel Radio also maintains a booster transmitter for KLTC, Superior. 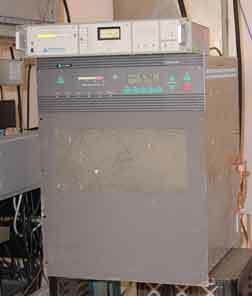 The Harris Quest 1 kW transmitter operates with around 500 Watts into a two-bay antenna. The tower to the north belongs to Fisher Communications, and supports the main antenna for KZOQ. 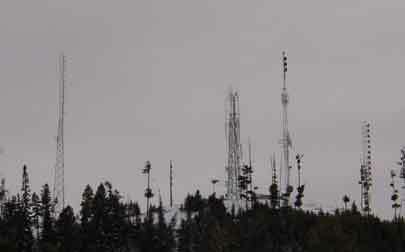 Because Dean Stone gives such good coverage of Missoula and the Bitterroot Valley, it is literaly covered with antennas.